When I was younger I didn't like mangoes. They never appealed to me and, to be honest, I wasn't much of a fruit lover. My mom would happily slice off pieces of the orange flesh and offer them to me and I always turned my nose up and said no thanks. She'd shrug her shoulders probably wondering why I didn't love the fruit that made her so happy. Years later I have come to appreciate the mango. The smell is no longer off-putting and I will sometimes voluntarily nibble on a piece. I received some from a friend last week and had to do something with them as they were getting soft. The thought of mango muffins, cake or bread were not really appealing so I looked around and found an easy recipe for mango mousse. The pale peach mousse does not have any gelatin in it so it is suitable for vegetarians. It consists of pureed mango mixed with some orange juice, sugar and lemon juice. This is then folded into whipped cream to create a light creamy dessert that looks impressive served in individual dishes with a dollop of whipped cream and a mint sprig. The texture is smooth and light and does not have the mousse-y mouthfeel as a gelatin-set mousse. 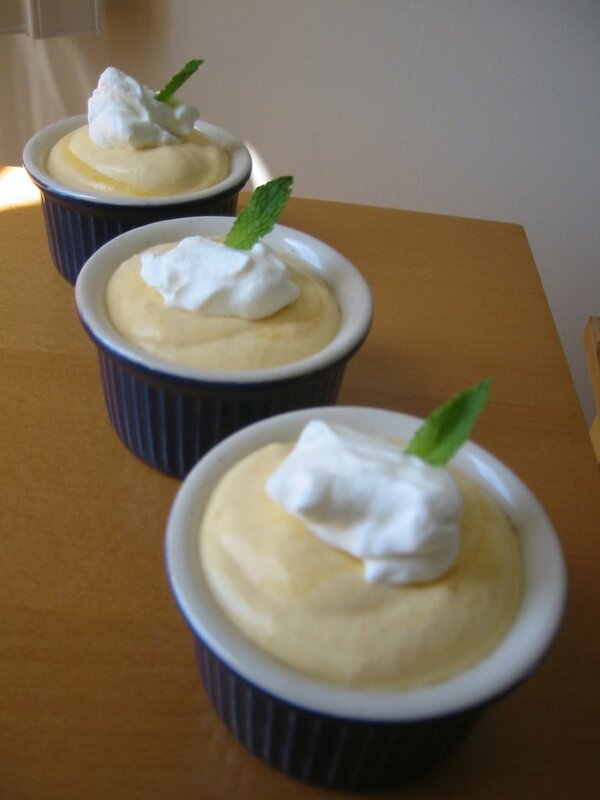 The mousse has a lovely distinct mango flavour and is not overly sweet - perfect after a heavy meal or a barbeque. One thing I've noticed is that when I try to bake and carry on a conversation at the same time the end result is not pretty. The other day Elizabeth and I were baking cookies that I had successfully made before. (Click here for recipe.) We thought it would be a snap but somewhere along time line something got mismeasured and we ended up with frisbee cookies - ultra flat cookies studded with chocolate chips that almost poked through the dough. I'm sure there are some of you out there who know what I mean. As we looked at the disaster and asked "What happened? ", I knew it was because I wasn't paying attention. I've come to the conclusion I'm a solitary baker and I need to really focus on the task at hand otherwise chaos ensues. (Plus it totally wrecks my cred as a competent baker) Sigh. No worries though. With a little Mint Chocolate Chip ice cream we soon had some yummy ice cream sandwiches to snack on. The cookies were actually perfect for this - thin, chewy and able to hold the ice cream without breaking. 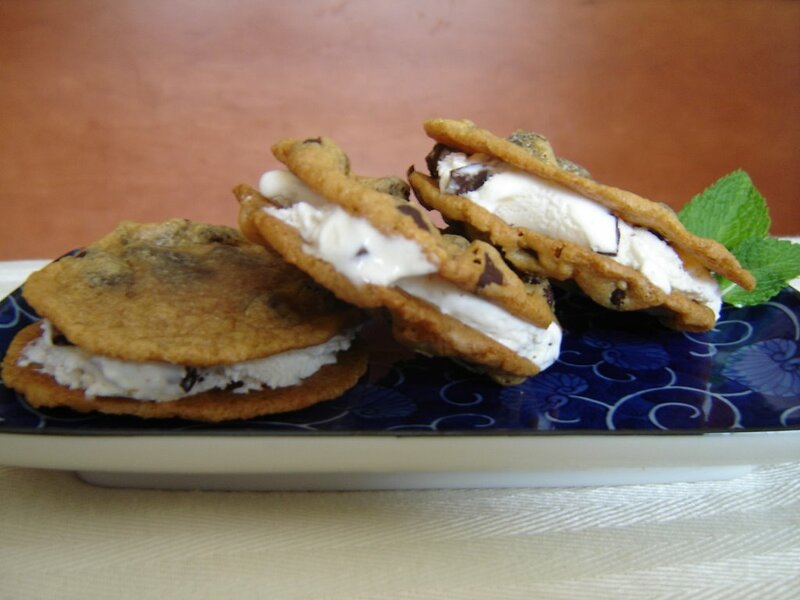 Everyone ate these up and that is how I turned a not-so-perfect cookie into something cool and refreshing and restored my rep - all thanks to Breyers. 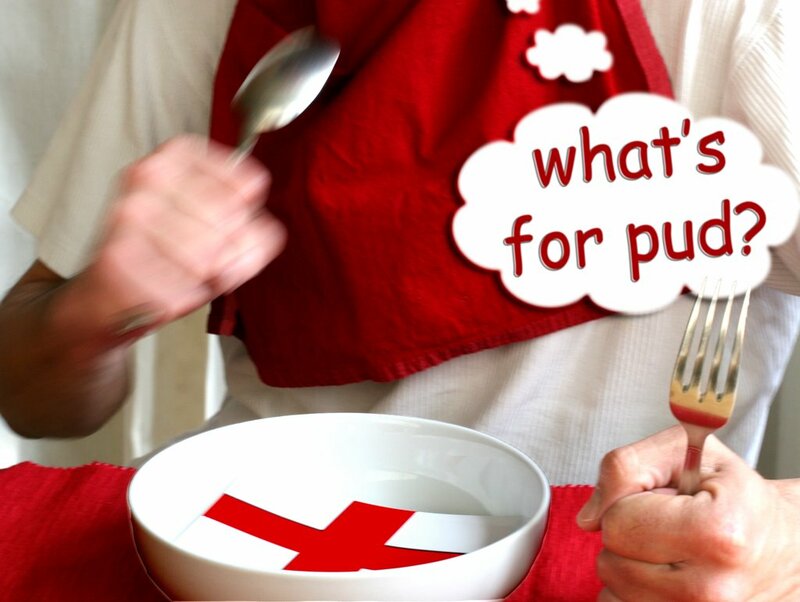 This month Becks & Posh and Jam Faced are hosting an even called "What's for Pud?" in honour of St. George's Day. Remember? He's the one that slew the dragon. The one stipulation for participating was that the dessert entry sent in had to be decidedly English in nature - not Irish, Welsh or Scottish, just English. I was excited to participate because I've never made and authentic English dessert (scones excluded) and it was well-timed since my sister is leaving for London next week for a 2 year working holiday. For this special event I decided to make the Victoria Sandwich. The Victoria Sandwich which is traditionally served at afternoon tea. 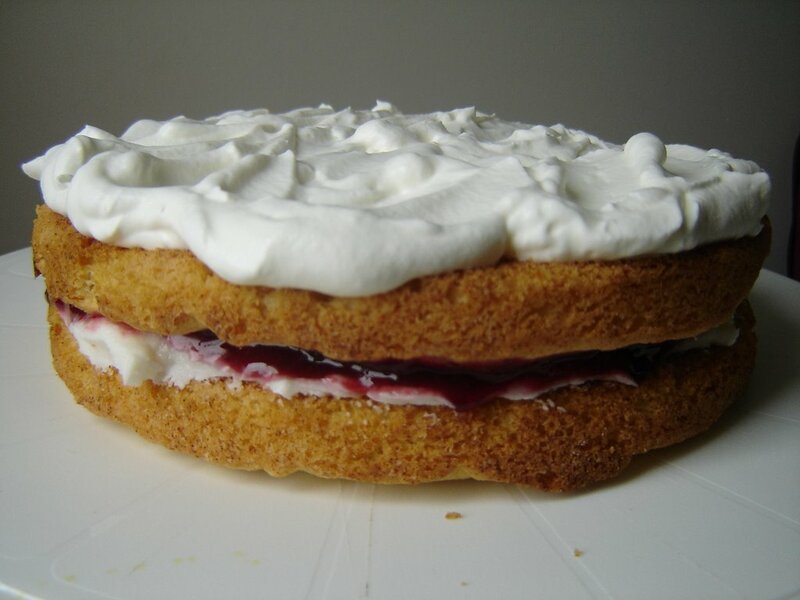 It is a two-layer sponge-like cake that is filled with a layer of jam and vanilla frosting or whipped cream. It is cut into small "sandwiches" and served in a similar manner. Anna, the Duchess of Bedford (1788-1861), one of Queen Victoria's (1891-1901) ladies-in-waiting, is credited as the creator of teatime. Because the noon meal had become skimpier, the Duchess suffered from "a sinking feeling" at about four o'clock in the afternoon. At first the Duchess had her servants sneak her a pot of tea and a few breadstuffs into her dressing room. Adopting the European tea service format, she invited friends to join her for an additional afternoon meal at five o'clock in her rooms at Belvoir Castle. The menu centered around small cakes, bread and butter sandwiches, assorted sweets, and, of course, tea. This summer practice proved so popular, the Duchess continued it when she returned to London, sending cards to her friends asking them to join her for "tea and a walking the fields. The practice of inviting friends to come for tea in the afternoon was quickly picked up by other social hostesses. Queen Victoria adopted the new craze for tea parties. By 1855, the Queen and her ladies were in formal dress for the afternoon teas. This simple cake was one of the queen's favorites. After her husband, Prince Albert, died in 1861, the Queen Victoria spend time in retreat at the Queen's residence (Osborn House) at the Islan of Wight. According to historians, it was here that the cakes were named after her. 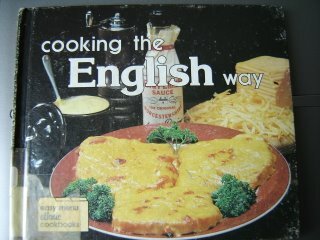 I found a lot of recipes on the Internet for this cake but decided to check out what my local library had to offer in the way of British cuisine. Unfortunately, the selection was limited but I did manage to find an ancient book from 1982 entitled "Cooking the English Way" and decided to use its version because the author's first love "remains the food of her native country". I was sceptical but time was running out. Thanks Sam and Monkey Gland for creating this fantastic opportunity to explore English confections. I had a blast! Cleaning out my cupboards had been pretty lucrative lately. Today's recipe makes good use of the jar of marachino cherries I bought to decorate a 'trifle' a while ago. (read: a cake that broke when I tried to remove it from the pan and needed to be made into something presentable) After that cake incident I didn't have much use for them until I came across the recipe for Cherry Chews in the book Great Canadian Cookies, Bars & Squares - a compilation of CBC Radio listeners favourite baked goods. The bar is a snap to assemble - the base is oat-based and the filling contains coconut, cherries and pecans. Once it is mixed up, the filling is poured on top of the base, baked and finished off with a vibrantly-hued cherry icing. The final product is similar in consistency to a butter tart and is very sweet. I cut a piece a little larger for the picture but I think they would be best enjoyed as small squares. 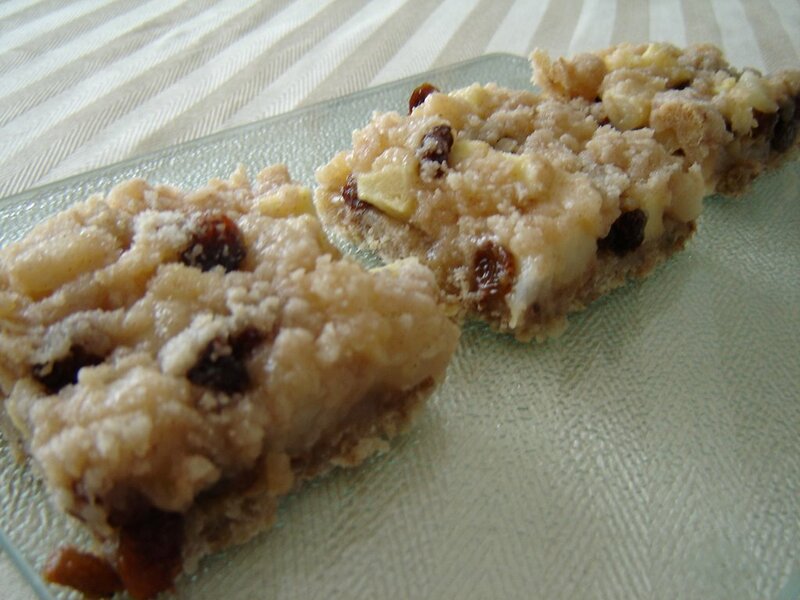 The coconut lends some chewiness to the bar and the nuts add crunch. ( I substituted walnuts for the pecans since that is what I had on hand.) Overall, they were tasty and perfect for a late night sweet treat. I also think that the sugar in the base and filling could be reduced for those watching their intake as the icing would provide enough sugar for the whole pan. When you're in the mood for making a cookie that isn't chocolate chip, peanut butter or oatmeal, these cookies are the answer. 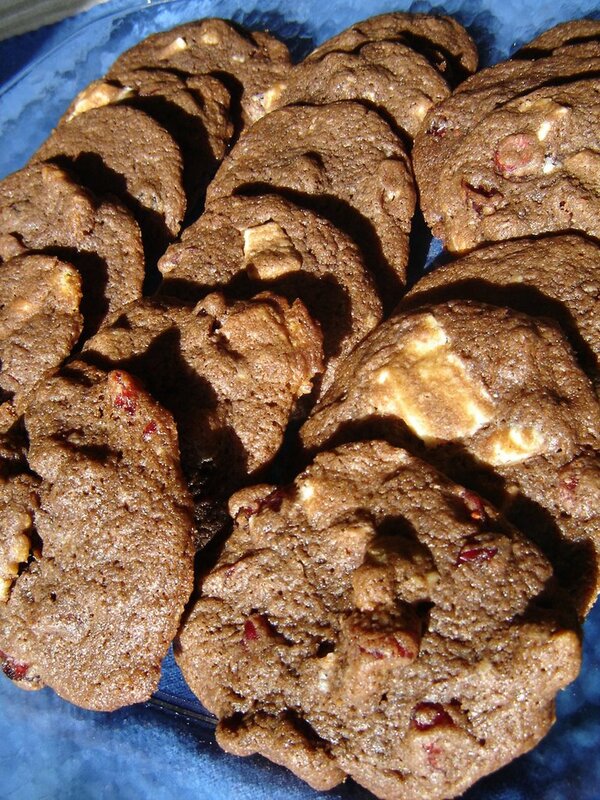 Chocolate cranberry spice cookies are not your everyday cookie and the recipe comes from A Good Cookie - one of the best cookie books I have come across. The chocolatey cookie dough holds dried cranberries, white chocolate and walnuts to create one taste sensation of a cookie. 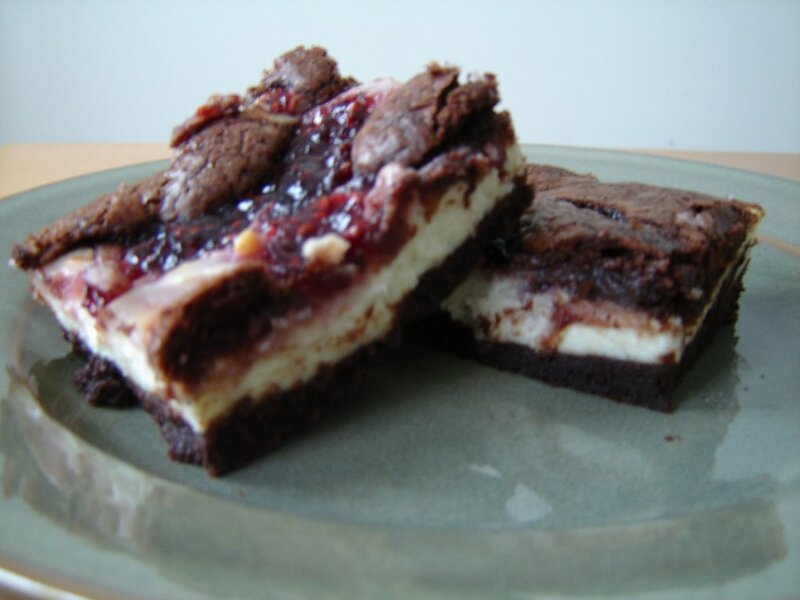 The tart chewiness of the cranberries blends excellently with the smooth sweetness of the chocolate and the crunchiness of the nuts. Each bite is flavourful and the spices enhance the overall cookie putting it in a league of its own. 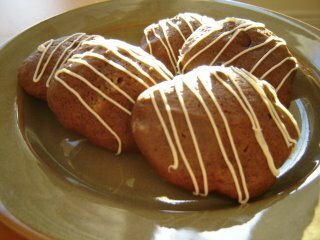 The cookies are not difficult to make - they are a chilled drop cookie that bakes up chewy and soft. They are very grown up and perfect for when you want to try something different. Two thumbs up! The past weekend was really, really busy. 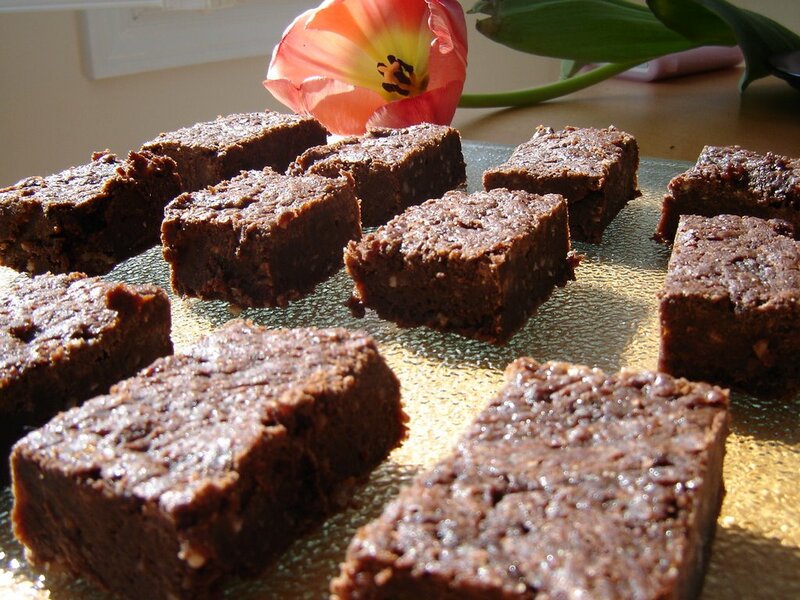 On Friday evening, there was a huge gathering at Elizabeth's and I wanted to make these brownies for her. This in itself was not a bad thing - the problem was that I didn't give myself enought time to properly make them and needless to say, they didn't come out as well as I hoped. I think this is the number one rule of baking - do not rush. Rushing only means one thing - substandard results. The first problem I had was with the caramel. It was not quite as thick as I would have liked it. It tasted very yummy but was not perfect. The brownie batter was fine and it baked up without any problems. The second issue was that I didn't have enought time to properly chill them. Trying to cut warm gooey brownies into squares does not yield pretty results so I was forced to leave them in the fridge where they stayed until the next day thus completely missing the party. Saturday morning the bars were nicely chilled. Straight from the refrigerator they tasted like cool chunks of fudge. The chocolate flavour really stood out and they were very rich. You were not able to tell there was coconut in them until you actually bit into a strip of it. After leaving them out at room temperature for a while, the caramel and coconut flavours asserted themselves and the brownies themselves were less fudgy. I was hesitant to serve them as they were not my best effort but everyone ate them and thankfully they are all gone. So the lesson of this baking adventure is to stop and take the time to do things right, you'll be happy that you did. This month, Barbara at Tigers & Strawberries is hosting an event called "The Spice is Right". The objective is to focus on spices, specifically ancient spices, that are used in cooking and baking. The spice I decided to focus on was ginger. I chose ginger because it gives baked goods a spicy pungency that is comparable to none. It is not bitter and evokes feelings of warmth. 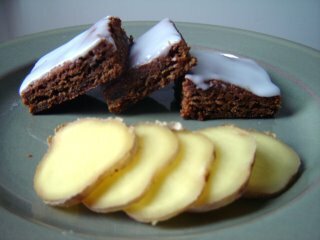 In the bars I made, two kinds of ginger were used - ground and crystallized. Although I can only eat a little piece of crystallized ginger, I know many people who eat them like candy. I believe it is because they like the hotness of the ginger as well as the medicinal benefits. 2. The rhizome (the underground stem) is the part of the plant that is harvested for use in cooking and in medicine. 3. Ginger is a perennial plant whose root has a very pungent flavour. 4. It is grown in warmer climates such as China, India, Jamaica and Hawaii. 6. Potted ginger plants were carried on local vessels travelling the maritime trade routes of the Indian Ocean and South China Sea in the 5th century AD and probably before. 7. The Hindu epic Mahabharata written around the 4th century BC describes a meal where meat is stewed with ginger and other spices. 8. Ginger was one of the most commonly traded spices during the 13th and 14th centuries. 9. Arabs carried the rhizomes on their voyages to East Africa to plant at coastal settlements and on Zanzibar. During this time in England, ginger was sought after, and one pound in weight of ginger was equivalent to the cost of a sheep. Of course, I could go on and on about ginger but I don't want to bore you. :) If you would like to read more, the Internet is a virtual treasure trove of information. The bars I submitted for this event are decidedly ginger in flavour and are enhanced with cinnamon, cloves and molasses. When trying one, the words "Mmmmm, gingery" are probably what you would say. (At least, Mr. CB did.) They are chewy, have the texture of a brownie and the little chunks of crystallized ginger give the bars the extra oomph and spice to earn the word 'double' in the title. 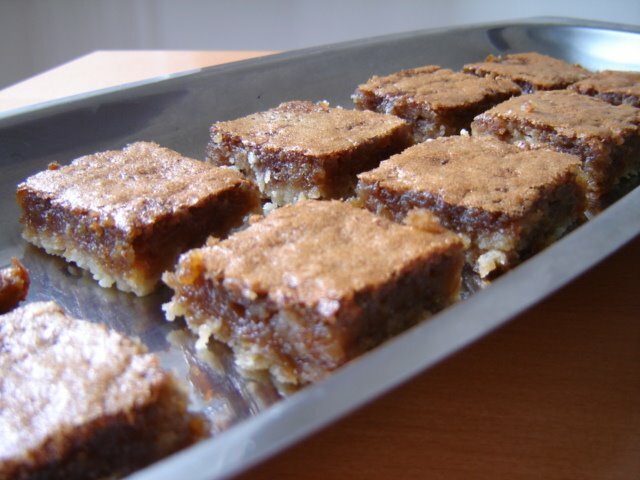 Add an icing glaze and these bars are fit for any occasion when bland just won't do. It must be Spring because I keep 'cleaning' out my kitchen. Today I found 2 ripe bananas on the counter (as per usual) and half a package of dates in the very back of the refrigerator. Add some grated carrots, plain yogurt and the usual pantry staples to the mix and presto!...I had Morning Sunshine Bars. This cake is great because it is easy to whip up and allows for different ingredients to be added in. For example, dried cranberries would work in place of dates and they can also be made nut-free for those who have allergies. The cake itself is moist with a snacking cake/muffin texture. It is totally portable which makes it good for picincs and is healthy enough to have for breakfast or to pack in lunches. Last week, while cleaning out my cupboard, I found a box of graham cracker crumbs and some unsweetened chocolate. An idea formed in my head and I checked the rest of my baking stash to see if I could find what I needed to make a chocolate cream pie. Milk, chocolate chips, butter...I had it all (yeah!) so I got busy. 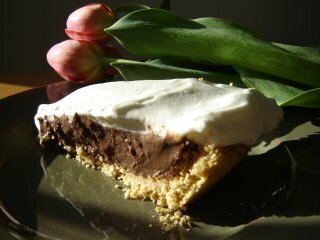 Making a cream pie is a very rewarding experience. Stirring a custard can seem tedious but once it starts to thicken up, it makes you happy because your filling was successful. You really have to watch the custard carefully...no one likes burnt chocolate in their pie! What I really liked about the recipe is that anyone could make it and the filling used real chocolate as opposed to cocoa powder. This gave the pie a deep, rich-tasting chocolate flavour, much better than any boxed pudding mix you could buy commercially. Don't worry if your custard doesn't taste too chocolately when it is hot - a couple hours in the refrigerator does wonders. After baking the crust and making a quick call to my sister to pick up some whipping cream, the pie was assembled. It was smooth, cool, velvety and oh-so-easy to eat. The only change I made to the original recipe was to put all the whipping cream on top, not mixing in half to the filling. I also added a couple dashes of cinnamon to the crust and whipping cream to give it a little extra flavour. 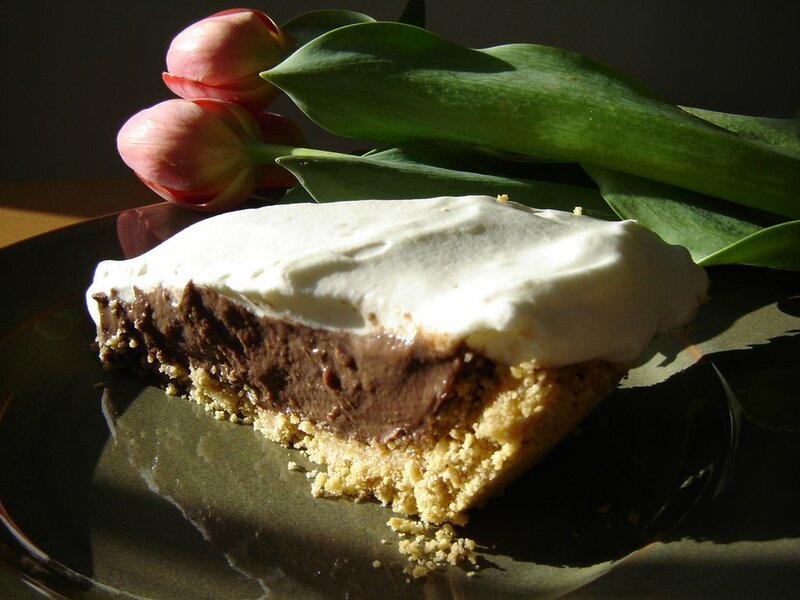 The brown speckles in the cream do make the pie look pretty...try it and see for yourself! Inspiration for today's cookie comes all the way from the other side of the world. ANZAC stands for Australian and New Zealand Army Corps. Boyle writes that, "The original cookies were baked for soldiers, who used to joke that their ANZAC ration was bulletproof." Well, these cookies have come a long way since then. I had a package of coconut in my cupboard and thought for a second to make macaroons. The recipe I would have used is very good except the final product is more cookie and less macaroon. This was not really what I was looking for (in a macaroon). I sat down with A Good Cookie and flipped through the pages, stopping at ANZAC Tiles. Hmmm...interesting name and I had all the ingredients. The sun was shining and I was ready to try a brand new recipe. 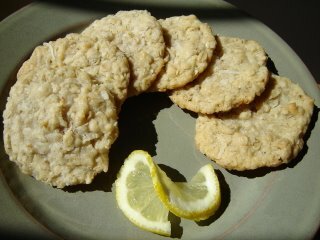 The cookies are coconut and oat based and are easily thought to be regular oatmeal coconut cookies. There are no eggs at all and instead of creaming butter and sugar, these two ingredients are melted along with corn syrup and then added to the dry mixture. The dough is very buttery and easily shaped into balls that are baked for 12 to 14 minutes. The flavour of the 'tiles' is very complex for such a easy cookie. The edges are crispy and the centre is soft and chewy, very reminiscent of a macaroon. The best part is the hint of lemon that you taste that comes from grated lemon zest. It adds the perfect endnote. All in all, this is a fantastic, flavourful and ultra buttery cookie that I will absolutely be making again. 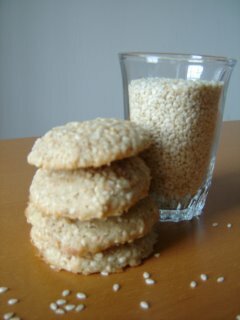 I made my cookies a little softer - not so much like a 'tile' but, if you're more inclined to make a crispier cookie, check out the recipe at Esurientes. This morning I looked out the window and saw snow. I like Canadian winters as much as the next person but where is Spring? I decided to cheer myself up by trying another cake by Nick Malgieri since the first one came out fabulous. My choice this time was the Chocolate Chip Pound Cake. A good, solid cake to have on hand for when company drops by. The recipe for this cake varies a little from other cakes because you have to separate eggs. The egg whites are beaten into soft peaks and folded into the batter at the end. This caused the main mixture to be a little stiff but once the whites were added it became more cake-like in consistency. 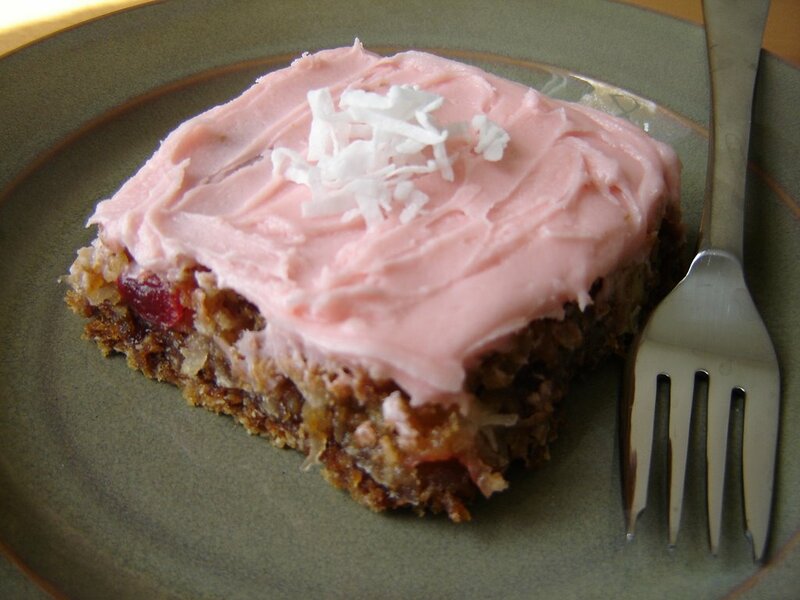 The batter poured easily into the pan and after about an hour I had a great cake to share. The crumb was dense and the cake itself was moist. 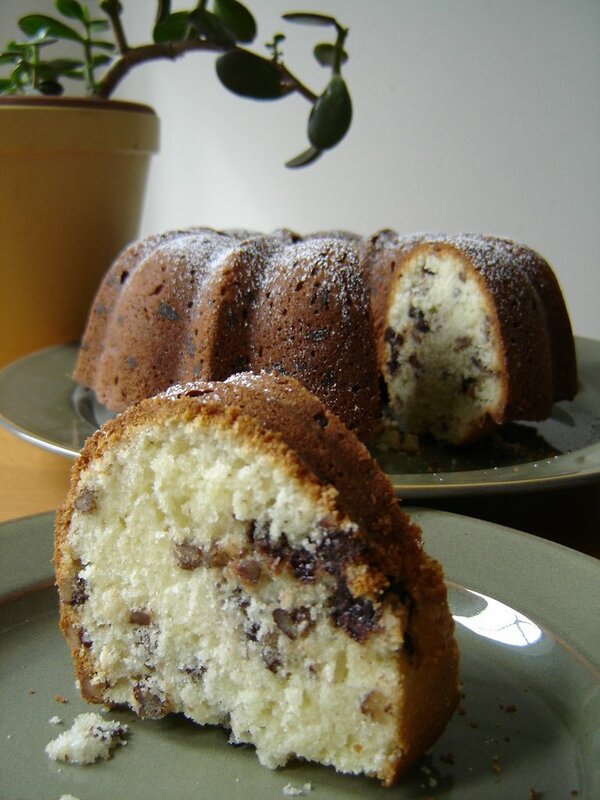 Pound cakes usually have to cook for a long time and I think this contributed to the darker shade of crust. No matter - with a dusting of icing sugar the cake was ready to be eaten. 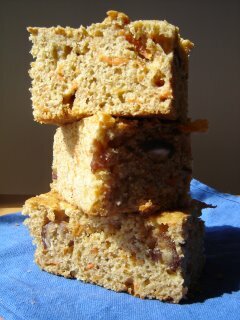 I would make this cake again and the nuts can be omitted if desired and orange rind could easily be added for an extra flavour dimension. Here are some recipes from previous posts. Enjoy! These little crispy cookies are deceiving. They look very plain but have a surprisingly crunchy texture. The nutty sesame seeds are very aromatic and make these cookies interesting to bite into. Not only are the cookies crispy, the seeds themselves are as well so, long after you've finished one you find yourself still crunching seeds. The cookie batter is a cinch to mix together and the cookies bake for less time since they are smaller. They're great anytime and kids seem to really like them. You could make them more colourful by adding some flax seeds and/or black sesame seeds. Try them out and see which mixture works for you!